Mutually Assured – for alto saxophone duet will be premiered by Cody Greenwell and Christopher Murphy. 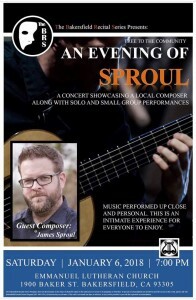 James Sproul is a california based composer and teacher. His music has been described as “powerful and inventive”, “much American spirit, and above all, it has an original sound”. 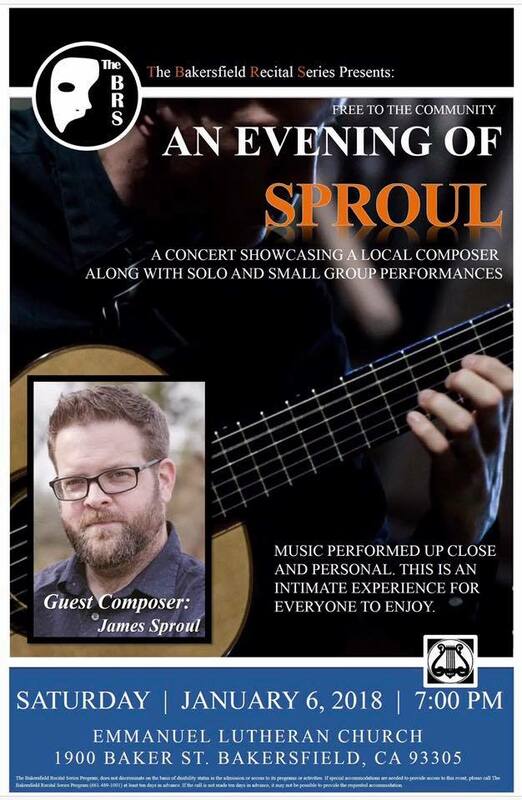 James is a composer unafraid of experimentation and has written music in many different styles, mediums and using many different techniques; including 12-tone, minimalism, graphic notation, indeterminate notation and many others. His wide range of ability is what makes him a versatile and exciting composer.